Aesculus hippocastanum (horse chestnut) is a large deciduous, rapidly-growing tree that can reach a height of 36 meters. It is native to the countries of the Balkan Peninsula, but because of its large, showy flower clusters the tree is cultivated worldwide for its beauty. Flowers are white or pink with a small red spot. Leaves are large, consisting of either five or seven leaflets and the fruit is round with a thick, green, spiny husk containing a glossy brown seed (chestnut or conker). While the common name for the tree is horse chestnut, it is also known as buckeye, and like other buckeyes, is a member of the Hippocastanaceae family, rather than the chestnut family (Castanea). The name, horse chestnut, is believed to be derived from the brown conkers that look similar to chestnuts and because a horseshoe shaped mark (complete with spots resembling horseshoe nails) is left on the twig when the leaves drop off in autumn. Historically, the seed extract was used as a treatment for many ailments, including rheumatism, rectal complaints, bladder and gastrointestinal disorders, fever (first written account in 1720), hemorrhoids (as early as 1886), and leg cramps. 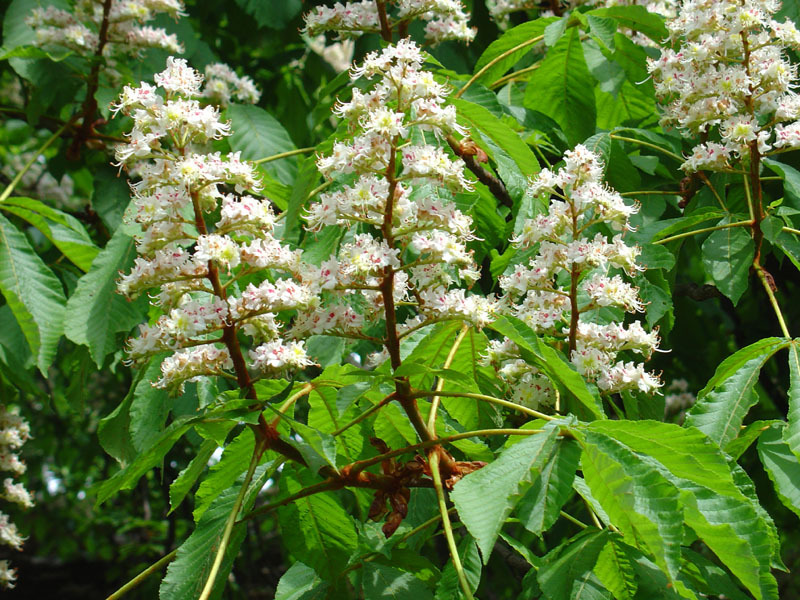 Currently, horse chestnut seed extract (HCSE) is widely used in Europe for chronic venous insufficiency, hemorrhoids, post-operative edema, and topically for clearing skin conditions. In the United States, HCSE is gaining wider acceptance as an effective therapy for venous disorders and edema, based on the publication over the last two decades of numerous randomized controlled trials in prominent, peer-reviewed journals.